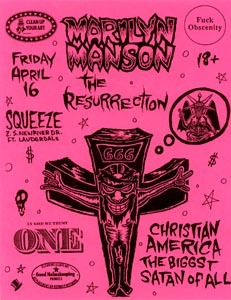 Part of the growing appeal of the Spooky Kids in the early days came from their crazy flyers. 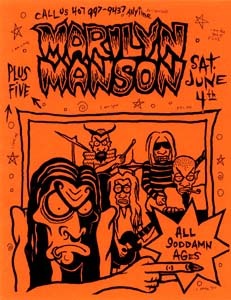 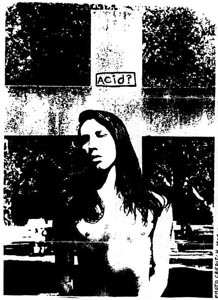 While other bands plastered the town with boring band pictures, the Spooky Kids created flyers assembled from a combination of appropriated images from children's books, Satanic symbolism, Scooby Doo, and original cartoons by Manson himself. 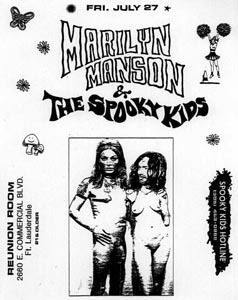 The juxtaposition of these seemingly disparate icons cultivated the demented view of a childhood gone horribly awry, and contributed to the band's cult like following. 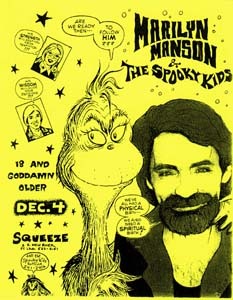 Thanks to Kobe Watkins from whose Spooky Kids flyers page I swiped several hi-res scans.